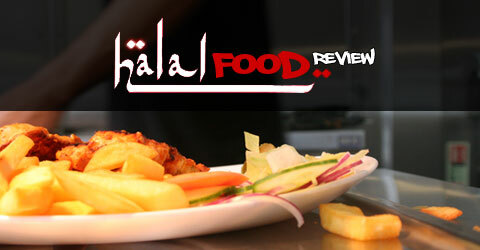 Salaams and greetings from the halal blogosphere, once again I write with no intention of reviewing food which is a contradiction in terms but the more I think about the Halal Food Review the more I think it has a wider role to play rather than just inform people of how good or bad the food was! Having recently visited the stunning Mughal E Azam on the Stratford Road its been great to sit back and just read the comments of our readers who have been sending in their opinions on the decor, food and service. The purpose of the HFR was always to create a community where no one voice is more important than the other so I really appreciate the time people take to submit comments and I hope our readers can continue to submit their views on a regular basis. The stunning renovation of the old church for Mughal E Azam has got me thinking about some of my past HFR entries and one theme in particular which was the decline of the traditional balti triangle in Sparkbrook. With the opening of the Mughal E Azam, the continued success of Hajee’s Spices and the current work taking place to relocate Ismail’s Grill to Sparkbrook, the redevelopment (again) of the old President and the imminent opening of Yaqubs is the balti triangle ready for a new renaissance in halal food that is beginning to offer a new dimension to compliment the strength of the historic balti offer. Steak houses, Halal Chinese, Traditional Desi, Somali and Middle Eastern cafes, Kurdish Bakeries and dessert parlours are now part of the new dining experience. Even old favourites like the Codfather are opening up bigger premises along the Stratford Road corridor which for so long has played second fiddle to the rapid emergence of Small Heath as a hub for new halal activity across the Coventry Road and the traditional strength and familiarity of the Ladypool Road Offer. Over the years the Stratford Road has lost Sher Khan, the Royal Naim and the Grand Tandoori to name just three long term victims. Slowly but surely with the arrival of Ismails, Yaqubs, Mughal E Azam to compliment the existing offer is creating a slow but gradual renaissance and I for one couldn’t be happier! Despite the progress there is still much to be done to bring Sparkbrook back to its balti glory days but for that to be achieved the balti can no longer be the driver for that growth. The food offer in Sparkbrook needs to reflect a new diversity and the changing face of a vibrant community that for so long has been a starting destination for new migrant communities making the long journeys to the UK and Birmingham to create a new and better future for their families. There is still much room for growth and development and it would be wonderful to see some of Birmingham’s halal food entrepreneurs explore even more diverse food offers to add to the ecclectic mix that is Sparkbrook life. What would readers like to see in Sparkbrook or for that matter any part of Birmingham! Until the next time happy eating and may I take this opportunity to wish all our readers a blessed Eid and hope you have an opportunity to experience some of the culinary delights of home and restuarant cooking over the coming days as you celebrate with loved ones. Mughal E Azam Restaurant Birmingham Mughal E Azam – The return of the Halal Reviewer!